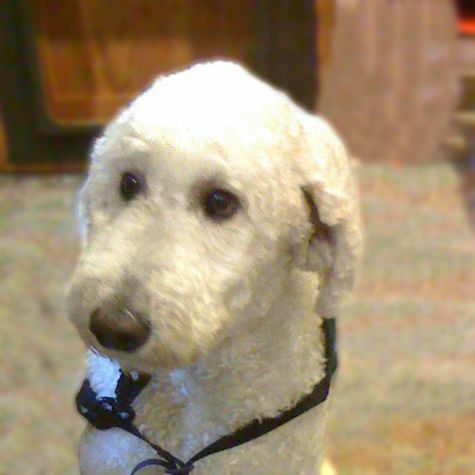 Parker is a Standard Poodle who likes to go, go, go. He swims in our neighbor's pool nearly every day in the summer. First he jumps on a raft and "surfs" half way across the pool; then he dives in. He loves to play Frisbee and ball games. He also loves to travel with us, and he has been a house guest in many homes and motels. He goes wherever we go! Parker is an all around good guy who loves kids, cats, dogs, nurses, and being a Love on 4 Paws volunteer.